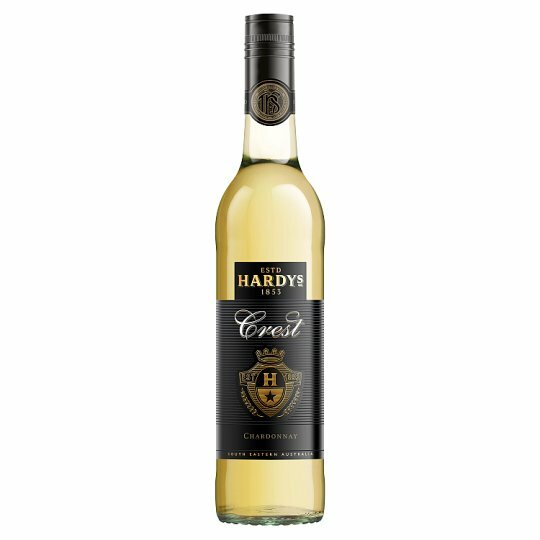 This Hardys Crest Chardonnay is elegant and creamy with flavours of citrus and peach - great with chicken, pork dishes and a cosy night in. Hardys Crest Chardonnay is a classic Australian white wine - soft and creamy with flavours of citrus and melon, with hints of oak. The Crest range was created to honour Sir James, a fourth generation member of the Hardy family. The Riverland region is a great place to grow quality Chardonnay grapes. The warm summer days and cool nights allow for optimum flavour development.